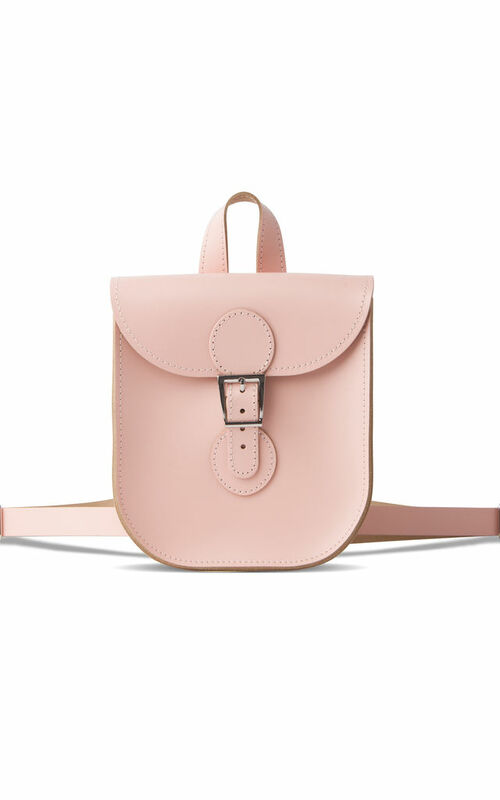 Introducing the super cute Brit-Stitch Backpack! 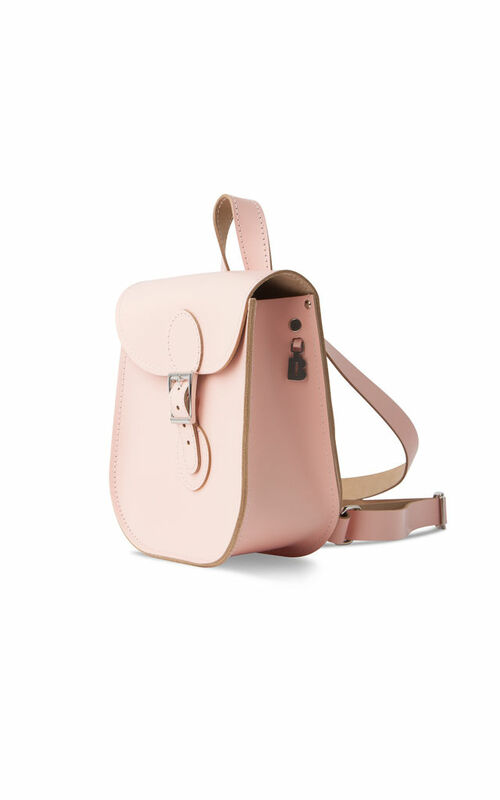 Like their best-selling Medium Satchel Shoulder Bag, this 90's inspired pretty pastel pink leather backpack is roomy enough for all your essentials but with one slight difference – awesome shoulder straps! The straps are fully adjustable and there’s also a top loop for easy hanging. To make sure your stuff is totally safe, this bag features a full buckle rather than their usual magnetic style. 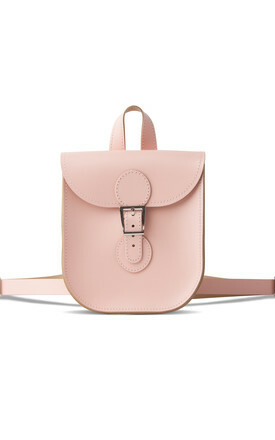 The perfect satchel for a city break, travelling and of course festival season! 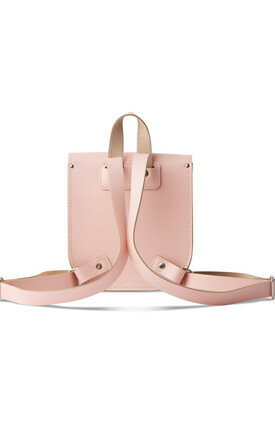 Available in 4 beautiful shades! 200mm wide x 95mm deep x 230mm tall (excluding handle).